What Is Blog And Why To Start It? What Builder To Choose To Launch A Blog? First things first, so let’s find out what blog is before we discover the reasons for starting it. In a word, the blog is a website that makes an accent on material provided in written form also called as blog posts. Traditionally, the blog is considered to be a site where famous people share their thoughts or demonstrate their life. Still, anyone can launch a successful blog, be it personal, traveling, artist, business, corporate, or fashion website. Most blogs have a commenting system which allows interacting with the audience and sharing thoughts with co-thinkers. Easy to follow tutorial with step-by-step instructions how to start a blog or how to make a website using WordPress with build in drag and drop page builder. Prior to finding out the reasons for starting a blog, let’s first break a conviction that has nothing common with the truth. It is not mandatory to be a great writer to start a blog. All you have to do is just stay sincere and run your blog with passion. Over time, you’ll be able to improve your writing skills by regularly publishing blog posts. Leads to increased traffic at your site. A new blog is a new content for indexation which increases your chances to become visible to search engines. In other words, a blog is a great SEO instrument. Increases engagement. The blog makes the relationship with your customers stronger letting them trust you and your product. Turns traffic into leads with the help of CTA buttons added to all blog posts for generating new leads. Expands your audience via sharing. Once your customers share your blog, you get a chance to receive new potential clients represented consumers’ friends. Shows a professional competence in your industry etc. The benefits of launching a blog don’t end on those we’ve mentioned. Yet, the advantages you already know are enough to answer your question if it is worth starting a blog with YES. 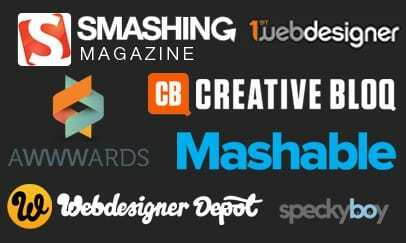 You may find a great number of website builder platforms on the market. WordPress, Joomla, Drupal, Wix, and others are available. A vast range of CMS platforms makes it challenging to select the one that would correspond to your needs. Yet, if you take a closer look at the latest stats provided by BuiltWith, you’ll find that WordPress is the most popular. Flexibility. Except for blogging, WP can be used for complex, multifunctional corporate or business websites, e-commerce projects, portfolio, or personal pages. Ease of use. WordPress is suitable even for web users without any special technical knowledge. All you have to do is just get a domain name and hosting account. Further customization can be intuitively managed from the dashboard panel using key features and plugins. 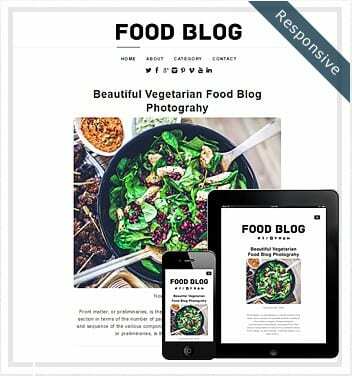 A variety of WordPress themes for any purpose. Advanced functionality. Even though WordPress comes with the elements needed to create a primary site, some users lack more specific functions. For this ‘cause, WP directory contains multiple plugins allowing users to add advanced features to their sites. Built-in blog feature. It makes possible to use blog functionality for websites that are not related to blogging. Supportive WordPress community. Since WP is an open-source platform, developers can update it with more plugins and other elements. As you may see, WordPress is friendly to beginners and non-techies. Additionally, it provides advanced options for developers and web designers. Therefore, this platform is perfect for building your first website or update the existing one with advanced functionality. There are a few specific steps to create a website. If you follow them, you’ll be able to launch your blog without a hassle. So, let’s start. First and foremost, you need to get a domain name and register it at hosting service. Being your blog name and making the first impression domain is an important part of your website. The most extended domain extensions are .com, .org, .biz, .net, and others. We recommend that you opt for .com extension because it will include your business name. The web host may provide you with a free domain, yet, it is still better to choose a paid option and keep the name and host separately. Thereby, you get the full ownership and can control your domain name. In addition, make sure that the name matches your brand and key tasks, and is catchy. To register the domain name, you need to sign up for hosting, log in to your account and address of the host name servers by following the directions. Ensure that the name server contains two series of numbers. After that, copy name server and paste it to your domain name in the domain registrar to show it where the domain should point to. Download WordPress from the official page. Unzip the archive file into the folder created on your desktop. Rename wp-config-sample.php file into wp-config.php. Download FileZilla to log in to your hosting ftp. You’ll see ftp.yourdomain.com address. Enter your username and password used to register to your hosting service. Remove ‘index’ file if any is available. Upload the file from WP directory to FTP server. Once done, go the URL yourdomain.com/wp-admin/install.php. Complete the form and you are all set. After logging in to your WordPress website, ensure to explore the dashboard panel before moving further to the next step. Once WordPress is installed, you’ll discover a basic, clean website. To make it look uniquely yours, you’ll probably need a WP theme. 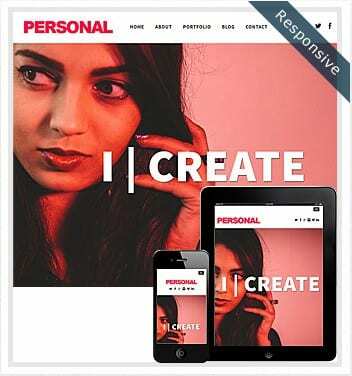 Fortunately, there is a huge number of ready-to-use and highly customizable design templates. They come free and paid. If you want to get a free one, go to your WordPress Dashboard panel > Appearance > Themes to get access to over 1500 templates. The installation is as easy as pie. All you have to do is just click ‘Install Now’ button under the theme you’ll choose. In case you want to get more professional web product, we recommend heading over to TM marketplace. There is a huge library of templates to choose from at different cost. Navigate to Dashboard > Pages > Add New. Apply content including text, links, images, audio, video etc. to the text editor. 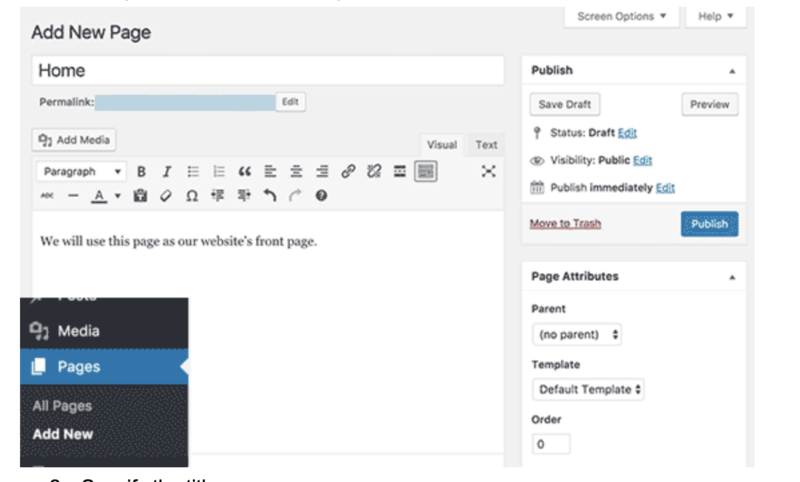 Click on ‘Publish’ button to make the content appear from the site. Keep it the same way to add more pages to different sections. Act just the same to apply a blog post to your site. You can additionally change a few extra options, e.g. post format, categories, and tags. Furthermore, you can either save the text to drafts or publish to make it visible from the front. Plugins refer to the extensions aimed to extend WordPress functionality. They add features and elements to your website that don’t come with the theme by default. The number of plugins is huge. They can be used for different purposes from integrating photo galleries and web forms to creating an e-commerce store. To install the plugins, all you have to do is just go to your WP admin > Plugins > Add New. Once you discover the plugin you need, click on ‘Install’ button, and you are done. Whether you go with a premium template, you’ll get the most popular plugins already included in the package. By following the steps of this guide you should consequently get a fully-functional, user-friendly WordPress blog. Yet, don’t stop there, keep your site up-to-date by customizing it. Keep in mind these instructions if you want to develop your WordPress site. get a domain name (1 year) and professional hosting (Inmotion). add social profile links and others. Hurry up to get this offer at a special price. The promotion is going to last for the next 5 days. When you already know how to set up your blog, let’s consider how to make it more successful. Further, you may find short tips on how to effectively run your website. Discovering your niche is not that mandatory. Yet, it still helps to focus on a specific subject and not to skip from topic to topic. Surely, you’d better share the information you are passionate about to sound more persuasively. Once you identify the niche, you’ll be able to discover your target group. By clearly understanding what your target audience is you can draw the attention of your readers because their needs in the spotlight. Moreover, creating messaging you can easily drive marketing and sales if you run a business. If you want more users to reach your blog, make sure that it has a mobile responsive design. It should adapt to any screen size and modern device including tablets and smartphones. According to socPub, 57% of users say they won’t recommend a business with a poorly designed mobile site. 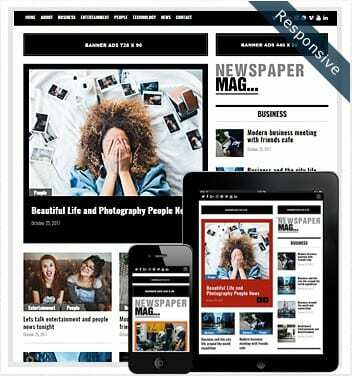 If using WordPress blog, opt for a theme with a fully responsive design. Running a blog you should know that social media drives additional traffic to your website. For instance, social sharing buttons let your readers share your posts on different platforms including Twitter, Facebook, Pinterest, and others. Except for sharing buttons, you may also add social links if you want your readers to follow you on social networks. WordPress themes usually come with the icons in the blog design. All you need to do is just apply the corresponding links to each platform and choose display option for the icons. The most popular locations are website header, blog sidebar, top or bottom of blog content, and website footer. In the meantime, the commenting system contributes to the interactions between your readers and blog content. 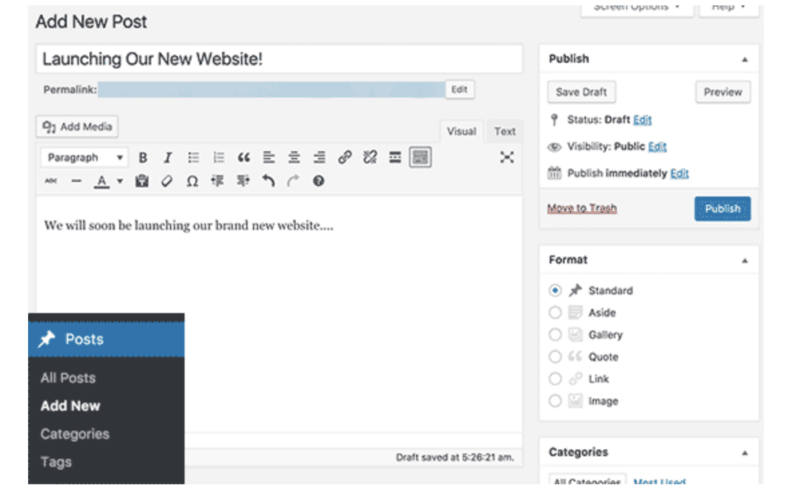 Most WordPress themes already include a commenting system, so you only have to activate this feature while launching the blog. Related posts refer to content that the readers will most likely enjoy based on the topic and category of the article they read. They drive traffic to the rest of blog posts and keep readers engaged. Another tool that makes readers return to your blog is a newsletter subscription form. Using an easy opt-in form collecting users emails you can send the latest posts via email marketing messages. To include any of the above-mentioned blog components, make sure you have a reliable and secure website hosting service. Opt for an option with strong security features. Running a personal blog or launching it for your business website may change your life. It may bring extra income or take your business to a completely new level. By following the instructions and short tips we’ve gathered in this article you’ll be set for blogging success. If you have any other secrets of running a website blog, share them in the comments below.